07.01.2017. bet365 Stadium, Stoke, England. FA Cup third round football. Stoke versus Wolverhampton Wanderers. 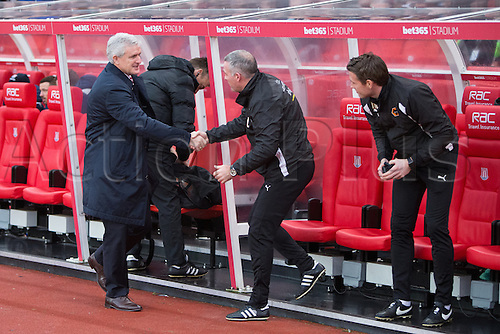 Stoke manager Mark Hughes and Wolves head coach Paul Lambert shakes hands pre match.